In a small bowl, combine mustard, maple syrup, garlic and lemon juice. 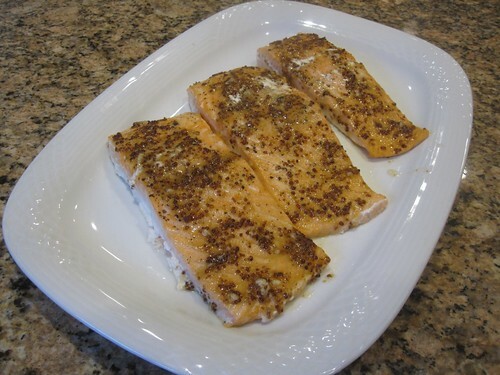 After the 10 minutes of cooking, brush salmon with mixture and return to the oven for 5 minutes or until salmon is just cooked through. fast, easy and delish! enjoy!